Meet the latest Team Summer kid! Kaylee is only 21 months, but she is already full of personality! 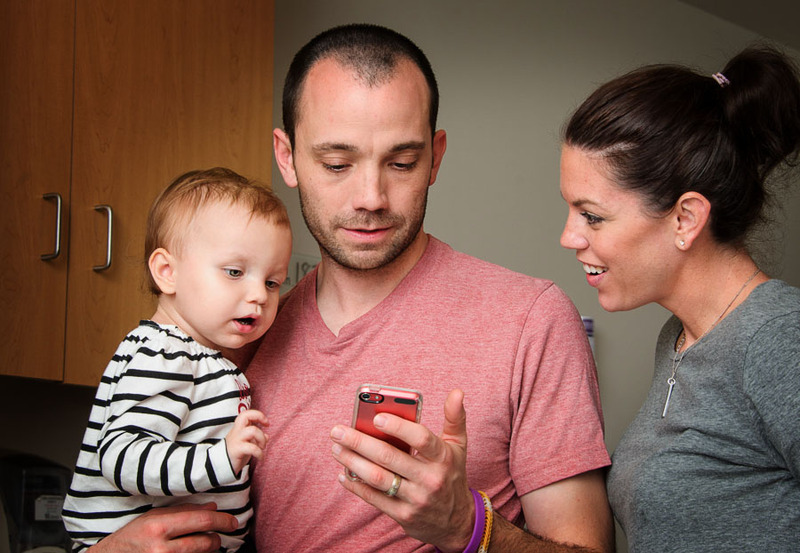 On August 1st of this year, her parents got the shocking news that Kaylee had cancer – leukemia. 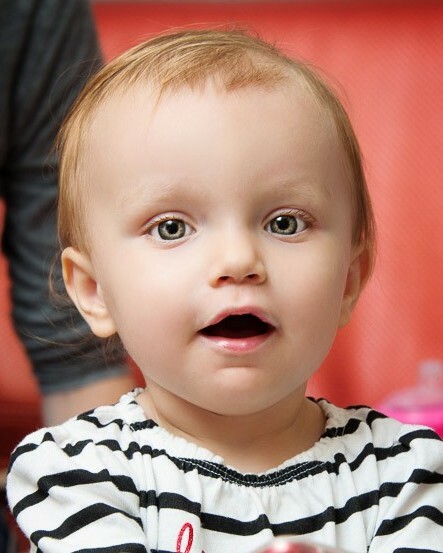 Her mom, Duffy, told us that she “will never forget the diagnosis day and how your world just stops.” Since then, it’s been seemingly endless trips to the clinic and the hospital. It’s hard enough to entertain a two-year-old anywhere, but in a hospital, it is nearly impossible. Remember, kids get their chemo through long tubes attached to poles, so running and jumping is out. A few weeks ago at clinic, 12-year-old Team Summer kid Kayla, who is fighting her own battle with brain cancer (see previous blogs), met Kaylee and wanted to help. She knew that Kaylee loved playing with her mom’s iPhone and routinely wore out the battery listening to music and playing games. 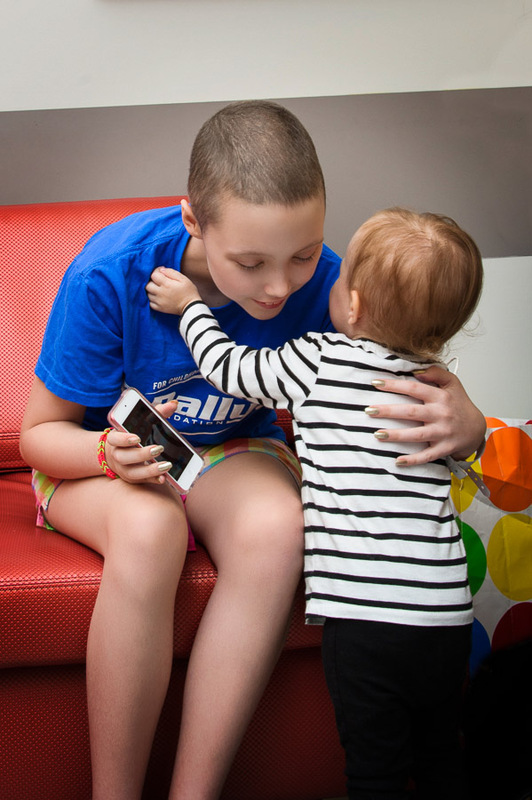 So, with funds donated by you and others, Kayla gave Kaylee her very own iPod Touch! Kaylee knew what to do with it immediately; and before we knew what was happening, she had some music blaring and began dancing! 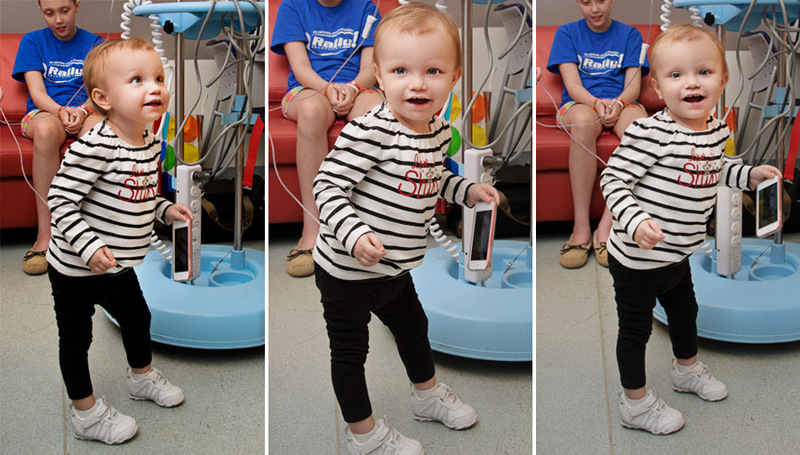 We say any day a child with cancer is dancing is a good day! P.S. If you are looking at these pictures and thinking what we were thinking – that the iPod was going to be dropped and broken in about a NewYork minute – know that we rushed a “Survivor” case to Kaylee’s parents. According to the box, the iPod Touch is so protected now that Kaylee can take it into combat…which is about what a lengthy hospital stay with a two-year-old feels like! Kaylee loves a phone. She is very capable with Grandma Sara’s phone. Kaylee loves music and will dance and dance if she hears a tune. She is so expressive. She is precious. Ask her Grandpa Ron? She is a joy. Look at her big, beautiful eyes. Kaylee is an adorable,love bug!